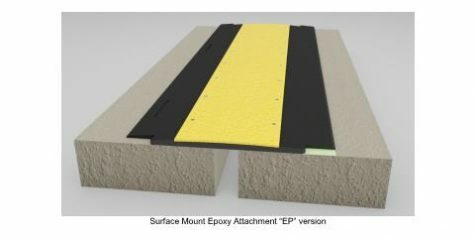 Wabo®SafetyGuard combines expansion joint and traffic calming technology into one unique product. The system is load rated to resist vehicular traffic loads and impact forces at slow speeds within parking structures and stadium concourses, and its raised cross section provides a visual warning to motorists to reduce speed. Our rubber encapsulated metal plate completely eliminates cover plate noise. Segmental molded panel and construction staging sized panels allow for rapid installation.